False lashes was always something that kind of scared me when I started wearing makeup. The though of gluing something on my eyelid was not very pleasant and I just did not know how to do it. When I decided to take a risk, a bought some at H&M and applied them after trying 5 or 6 times. Then, at the party I was on, they came off and I ended up with a crap eye makeup. That was my first experience but anyways, I have not given up and I got better at it and now I aboslutely love eyelashes and I am all for those very light weight natural looking ones for an everyday look (yes, I would wear false lashes everyday if I had the time to apply them). On the other hand, bold and full lashes are perfect for a night out and just give that extra touch to your eye makeup. 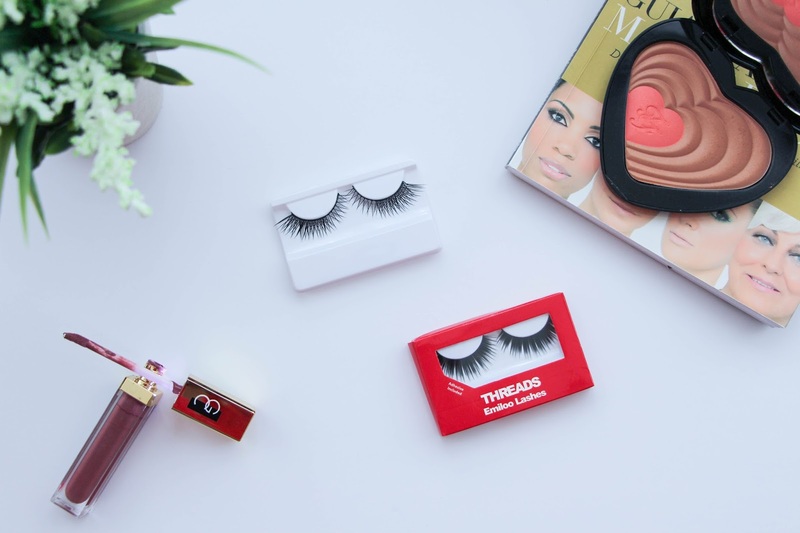 A week ago I was contacted by Threads Beauty, a company that has their own range of false lashes, eye liners, brown pencils and hair colour that kindly offered to collaborate with me and sent me two of their eyelashes to try on and review. I was so excited for this not just because I love makeup and false lashes but also because Threads Beauty was the first brand ever to contact me for a collaboration and that means a lot to me. I have heard of this brand from other bloggers that also reviewed their lashes and I was very happy to be able to also collaborate with them. 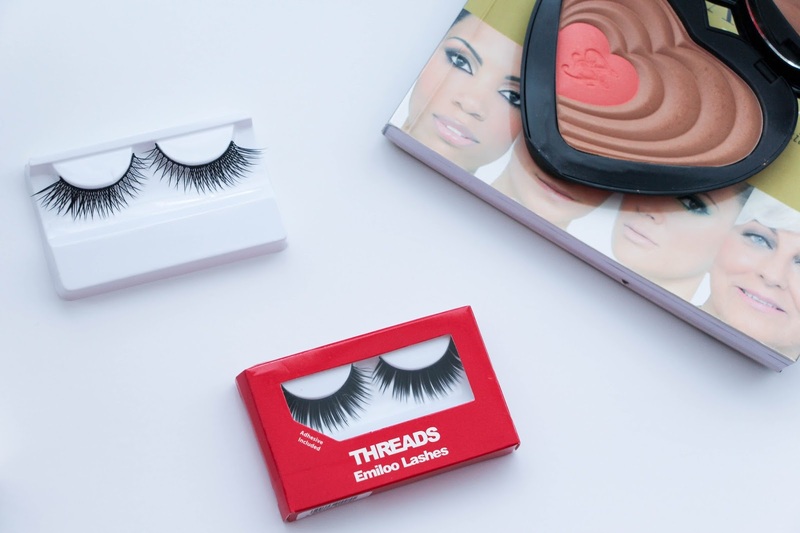 Threads False eyelashes are hand made lashes with an extra flexible band for a comfortable wear. They are made with feather weight technology so they are very light weight. I was lucky enough to receive the Threads Emiloo Lashes* and Celestial Lashes*, two completely different eyelashes that suit various occasions. Threads Celestial Lashes are interwoven and that gives maximum volume without the false eyelash look. I was impressed on how natural they looked, you can certainly pull them off on an everyday look if you are comfortable with that. They are very light weight and flattering, suitable for any eye shape, I would say! Now the Emiloo Lashes are something on another level. When I first looked at them I was a bit WOW! because I actually never even tried such thick, full and volumized lashes. So I have to say I was a bit scared of not even being able to apply them but oh, I did and I absolutely love them! They are so feathery and give such a beautiful lift to your eye! These are the perfect ones for a night out as they are quite a statement but they look stunning! I was surprised how much I adored them as I am more of an natural lashes kind of woman. When you first look at both of these eyelashes and specially if you are messy when applying false lashes like I am, you will feel slightly intimidated and almost scared to even try to apply them but let me tell you that it is not as difficult as it may seem. They have quite a thick, black band and that is what scared me as I normally use the clear band falsies. So I did a little wing liner so that my eye makeup blended with the eyelashes and it worked really well. Also, although the lash band is slightly on the thick side like I said, that did not make anything more difficult. I was actually very impressed on how easy it was to apply them, the lash band is very flexible and that helps a lot. Also, the eyelash adhesive that is included with the lashes is so good! To be honest, I was not going to try it as I like to stick with the ones I love and trust but that one actually did not work and the Threads Eyelash Adhesive is so good I could not believe! It dries black and quite quickly , it holds the eyelash so well. These eyelashes retail for £9 and I think that is quite a fair price for the quality. If you love more natural and lightweight lashes, they also have that option and you can find more of these Angel Eyelashes here. The only thing I would say is that I loved if they add some eyelashes with clear band as I adore that kind of falsies. My favourite of the two are the Threads Emiloo Lashes for sure! Which one is your favourite? What do you think about false lashes? 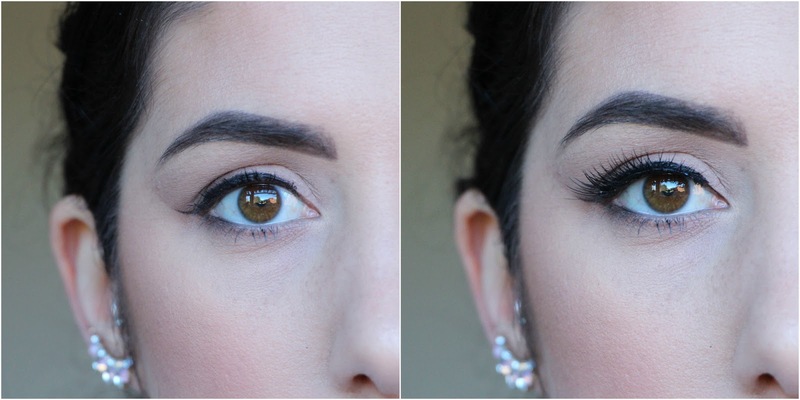 Have you ever tried any of the Thread Beauty Angel Lashes? And also, make sure you visit their website Threads Beauty and Instagram Page.